(Natural Society) A recent headline appeared as follows: New Synthetic Drug ‘Flakka’ Triggers Crazed Behaviors. 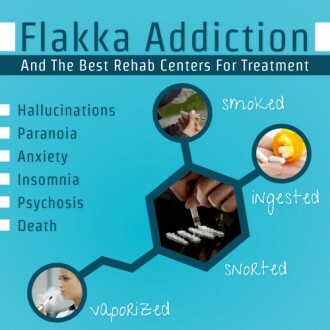 According to public health and medical authorities, the “use of the chemical-cousin to ‘bath salts’ appears to be on the rise.” The extreme symptoms associated with the use of flakka are quite easy to spot, and therefore its overuse easy to recognize. Headline-grabbing incidents of flakka-related drug abuse have been increasing in both number and severity over the past many months. The state of Florida has experienced its share of these sometimes violent episodes. A review of the media reports on arrests and public disturbances related to flakka reveals an alarming spike among certain demographics. Because these types of synthetic drugs are fairly accessible online, they are becoming more common throughout the entire nation. The most serious issue associated with them is that there are various products advertised on the internet under a variety of labels which actually contain flakka and its various cousin drugs. There have been many instances where ‘natural’ bath salts have been misrepresented and buyers are completely unaware of the tainted salts that they actually received. There is perhaps no greater scare — physically or psychologically — than to experience the harrowing effects of a synthetic drug like flakka, particularly when the individual had no idea of what they were really taking. In some cases, people have stripped down naked and run through the streets while hallucinating. “Why naked? Because the drug sends body temperatures skyrocketing to as high as 106 degrees, which prompts users who have taken too much to rip away their clothes during sweating, delusional fits. ‘They strip off their clothes and run outdoors, acting very violent with adrenaline-surged strength,’ said Jim Hall, an epidemiologist at the Center for Applied Research on Substance Use and Health Disparities at Nova Southeastern University in Broward County, Fla.
Because flakka has flown under the radar for some time now, those who may be addicted often escape the attention that they need. The symptoms of addiction can be very similar to the overuse of other designer and/or ‘natural’ recreational drugs. For this reason hospital emergency rooms and drug counselors alike often fail to inquire about its presence during a flakka-related episode. Perhaps the most important takeaway from this article is that buying any kind of drugs and medications, bath salts and the like, on the internet has inherent risks. Certainly, knowing the reputation of the seller is of paramount importance. Likewise, purchasing health and wellness products online with known ingredient issues ought to be strictly avoided. There has been a spate of occurrences where buyers have had extremely bad product experiences with these kinds of synthetic drugs being unknowingly present. As for those folks who are perfectly cognizant of their purchase and use of flakka, perhaps the best recommendation is BUYER BEWARE. “Caught on surveillance video outside the Fort Lauderdale police department two weeks ago, a man trying to scale a security gate fell onto one of the 14-inch spikes lining the top. The man hung impaled for more than 20 minutes before being cut free and rushed to the hospital. Police say he told officers he was high on the drug “flakka” and running for help. 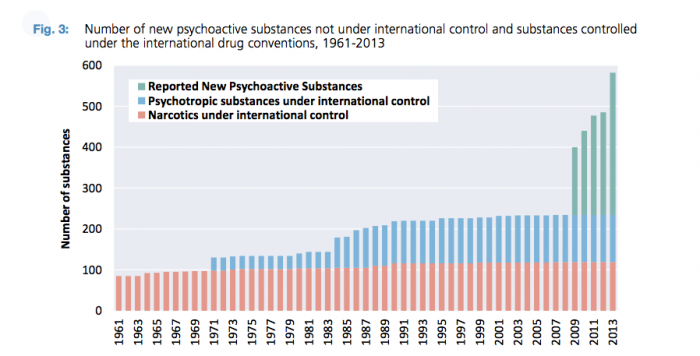 ‘You don`t know what you`re getting when you [get] synthetic drugs. These are made by chemists, often overseas and they are just trying to make money,’ said University of Colorado Hospital toxicologist Andrew Monte.